Every adult should feel safe and has the freedom to workout at places convenient to him or her, be it on the street or at the gym. 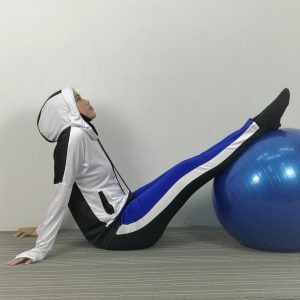 As many of us try to make the world a safer and a better place, we especially women and girls need to take extra precaution while working out. 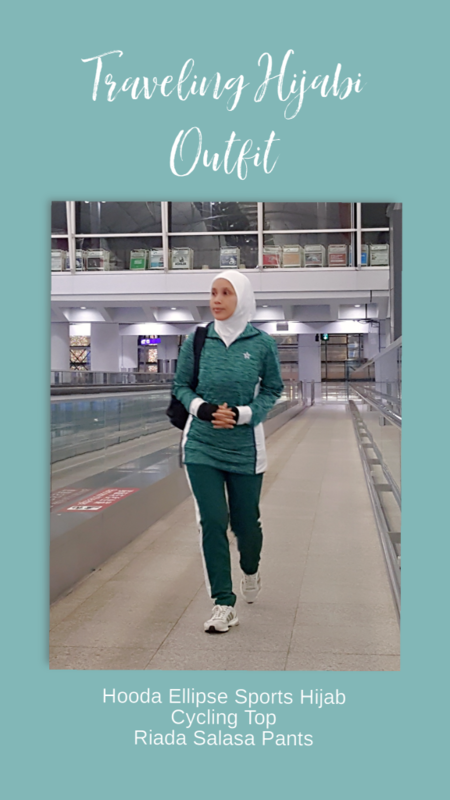 With the little time women have to workout due commitments like work, studying or taking care of family, the more reason why women need to be able to step into the gym or run at times and places of their conveniences. Nowadays, there are more women walking, cycling and running outdoors. Most of the time, they are alone. It is completely understandable, as sometimes a woman’s free-time do not suit others and in order not to miss training or to be consistent, she would have to train alone. Getting cat calls are pretty common among female runners. It is not flattering, rather irritating. They can be ignored. Fitness is a lifestyle. Due to this, a woman should not be afraid to exercise her rights to be on the street and at the gym to work out. Women need to know what to do when they are harassed. What are the form of sexual harassment? Any unwelcome verbal and physical sexual attention that is directed to you. Sexual harassment need not to be in a form of physical contact and advances. Verbal harassment that is sexual in nature or jokes and unwanted sexual representation in visible manner, be it in a form of photos, physical exposure or text are considered sexual harassment too. If a person makes you feel uncomfortable due to his or her sexual conversation or physical contact or representation to you and if you are not certain if it is a harassment, talk to someone. Go to all ladies gym close to you. In Klang Valley, there are a few like the Curves and Femme Fitness. Work out at a guarded and well lighted area. Avoid shady, dark and quiet areas. Inform family member or friend about your workout area beforehand. Be unpredictable. Change routes, change workout times. 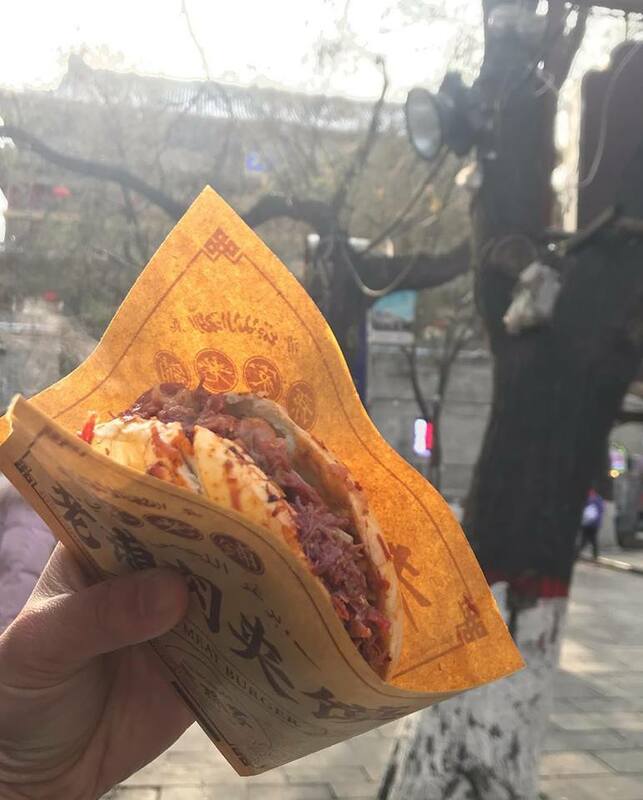 They are collapsible but smallest is also long – 19 cm onwards. Small and handy. There are several types, mostly key chains. Sabre and Mace are the brands that have both pepper spray and personal alarm in 1. Install apps that can facilitates you go get help immediately. In Malaysia, for example, you can use Volunteer Smartphone Patrol App (VSP ) that allows you lodge a complain immediately and provide GPS coordinates and visuals. It is provided by the Malaysian Police Force. What should you do when you are harassed? Stay calm, run for safety and defend yourself. If the harassment is verbal or not in a form of contact, just ignore and move away as fast and calm as possible. Go to the nearest person to you for help. Do not respond to offender. If necessary, in order to avoid physical contact, use any protective gears you have to defend yourself and get help as soon as you can. Be aware of your surrounding and of where you are. Remember how the person looks like as you need to be descriptive about the offender, also where the incident take place. If you are alone and have the opportunity, get evidence of the incident. It could be pictures. If there are witnesses closeby, get their information. You can call the authorities immediately. You can use the VSP app in Malaysia to report and provide information of incident immediately. Do not be afraid to lodge a report to authorities. Sexual harassment is something you want to avoid as what you experience can make you scared, angry and confused. Do not blame yourself for what happen and do know that the only person who can help you is yourself. Talking to others like family members and friends can only make you feel better but if you want to make things better for yourself and the community, lodge a formal report. Only with the report, the authorities can take necessary measures to find the offender and make the area safer. You should not be scared to exercise a woman’s rights to workout outdoor, on the street and at the gym. Those who are terrorizing others or have mental issues should be given help and taken away from the streets. Training for a race or simply to keep up with running when you travel is now a breeze. You need to check the weather condition at destinations, and find fitness center or running routes close to your accommodation. Sometimes, you may not get much info about safety of the running routes, so you may want to find out more upon arrival. 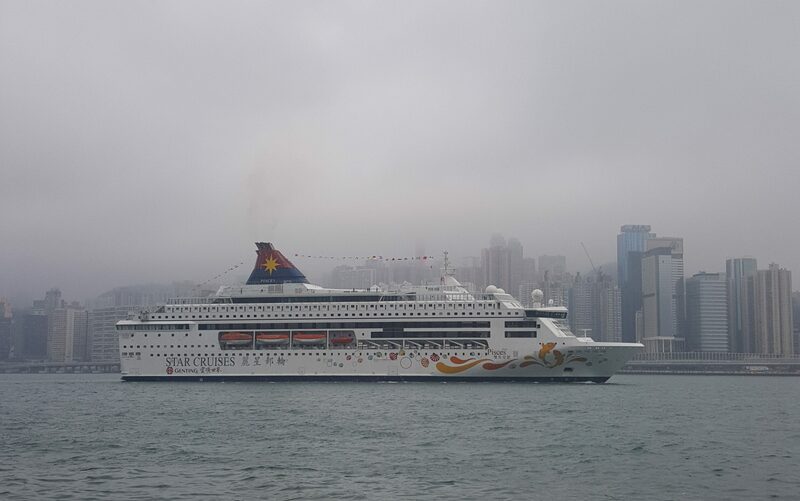 Here’s an example of a traveler outfit and running routes in Hong Kong when the weather is misty and cool at a temperature of 17-21 degrees in Celsius. I like to travel comfy and light. I do not like to bring too many items as I want to save space and avoid loosing personal belongings. Hence, clothing that is roomy and has secure pockets is my pick! Two side zipper pockets are useful. One to keep passport & boarding ticket and another for mobile phone. For climate above 20 ° Celsius or 68 ° Fahrenheit, you can wear your thin to medium lightweight and breathable sportswear. They do not need to be thick. For weather below 20 degrees, you need to wear thicker breathable fabric. Do bring a hand towel like the Raazglove to wipe your nose when you run in colder weather. 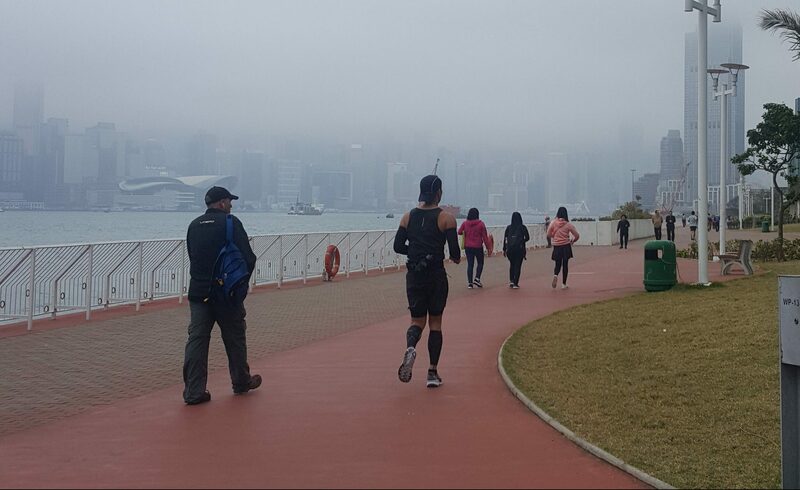 There are many running and trail routes in Hong Kong. 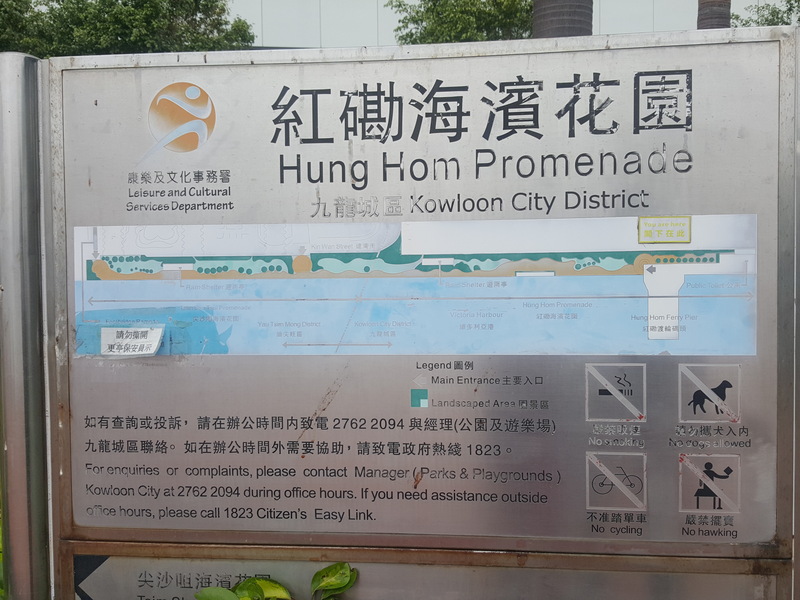 Here’s a sharing for a 9 km route in Kowloon District. 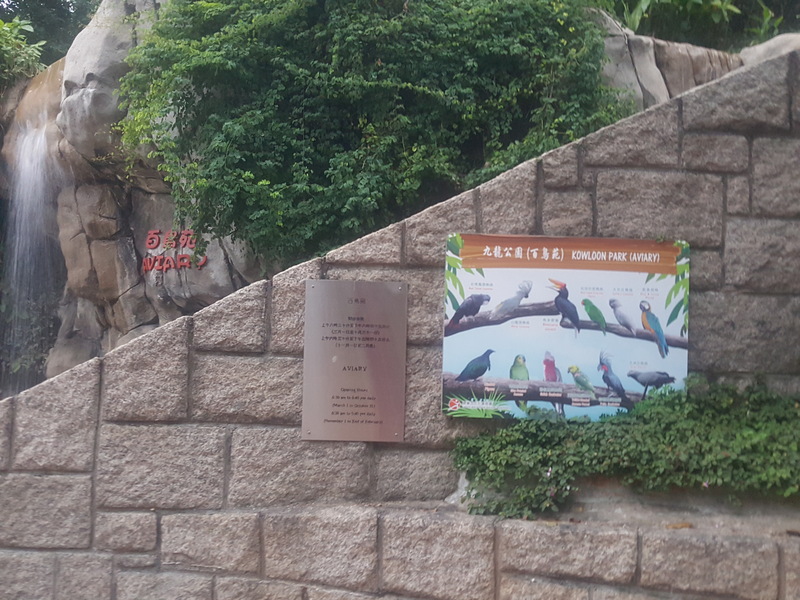 It is a sanctuary for recreationist and birds. 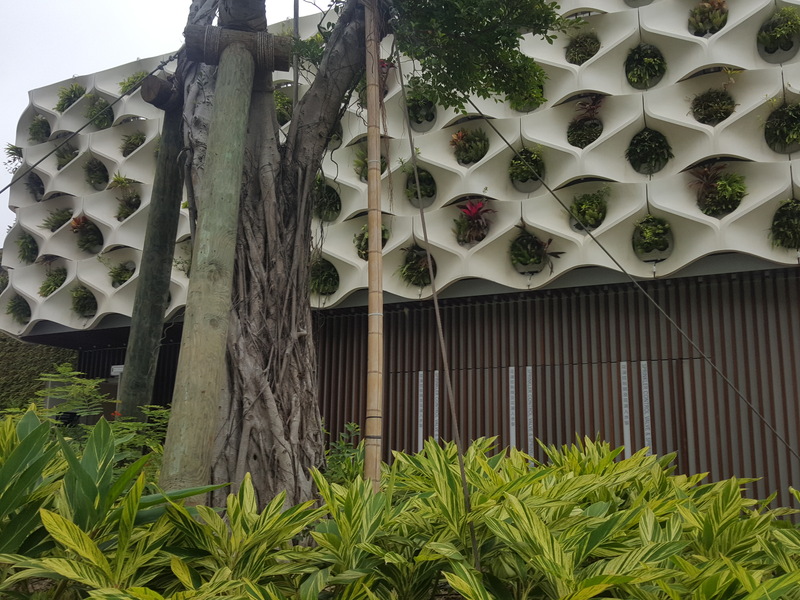 There are pockets of open spaces, bird sanctuary, water fountains, lookout hill, rose garden, outdoor swimming pool and outdoor gyms in the park, surrounded by approximately 2.5 km walking path. You can take the MRT train to Tsim Sha Tsui and exit to Kowloon Park or Kowloon Mosque. The park is right behind the mosque. 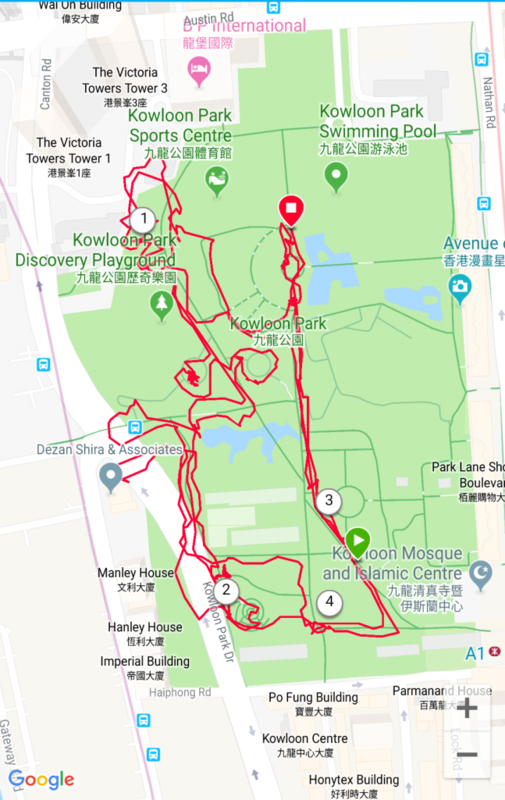 You can make two loops around the Kowloon Park exploring different paths and section of it. If you like birds, you can checkout the bird sanctuary and the flamingo pond. What I like about the park is that there are a few elevations, one of which leads to the lookout hill, and the flora and fauna are oh so gorgeous. 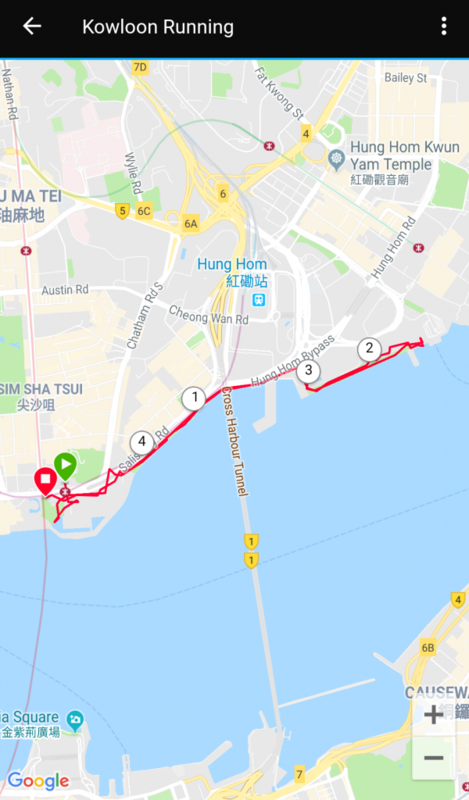 Other than the Kowloon Park, you can run at Tsim Sha Tsui Promenade. 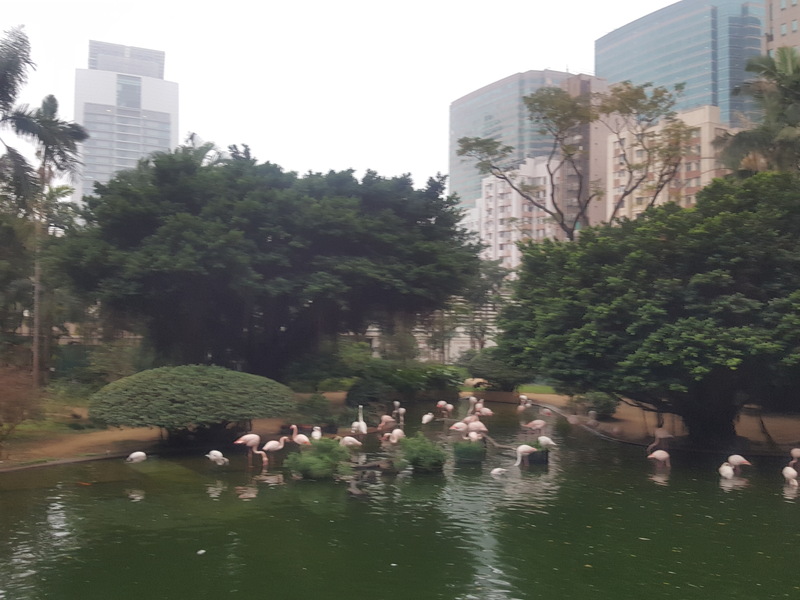 From Kowloon Park, you need to go back to the closest MRT entrance and find Exit J. Walk for about 300 meters towards exit J. 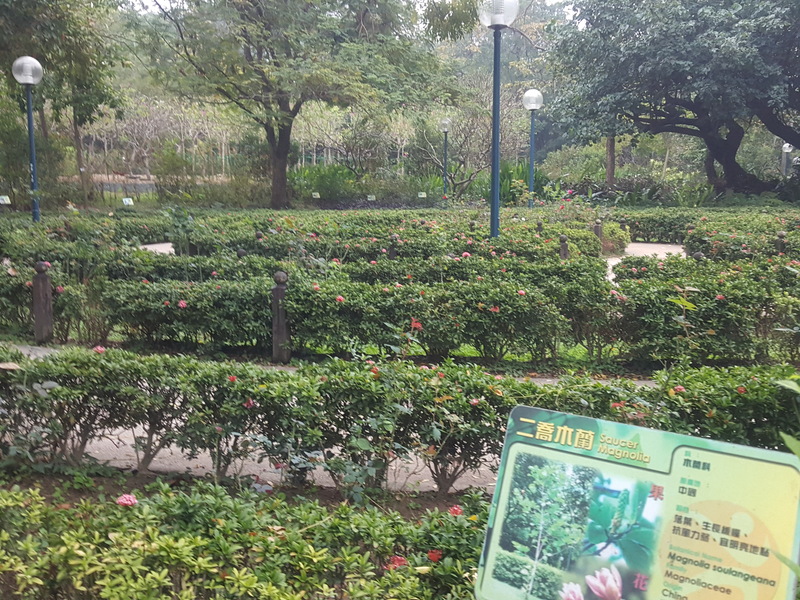 Upon exiting, you will see Salisbury Garden and you can start running east towards Tsim Sha Tsui Promenade.The 2.3 km stretch will take you through the Hung Hom Promenade till the Hung Hom Ferry Pier. 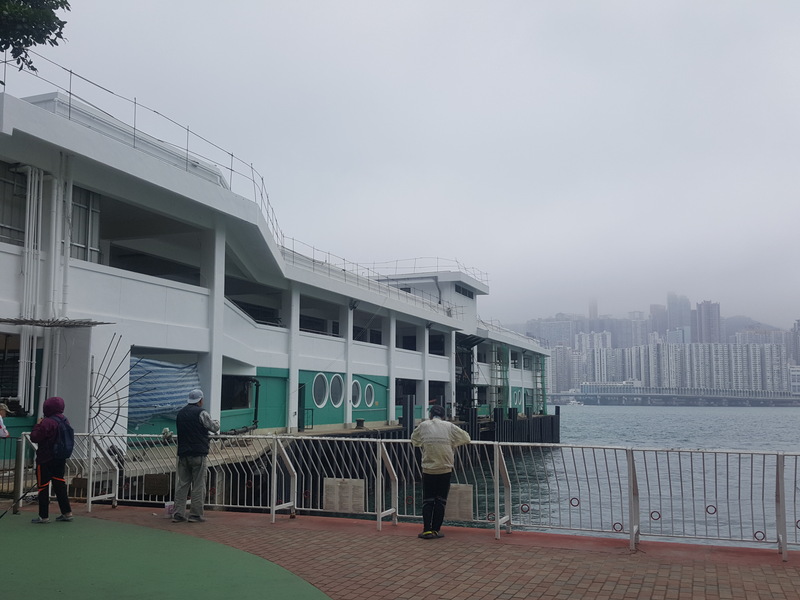 You can enjoy the breeze and lovely view of Hong Kong Island and ferries. These two routes give you about 9 km mileage. If you want to add more, run further or add another loop. 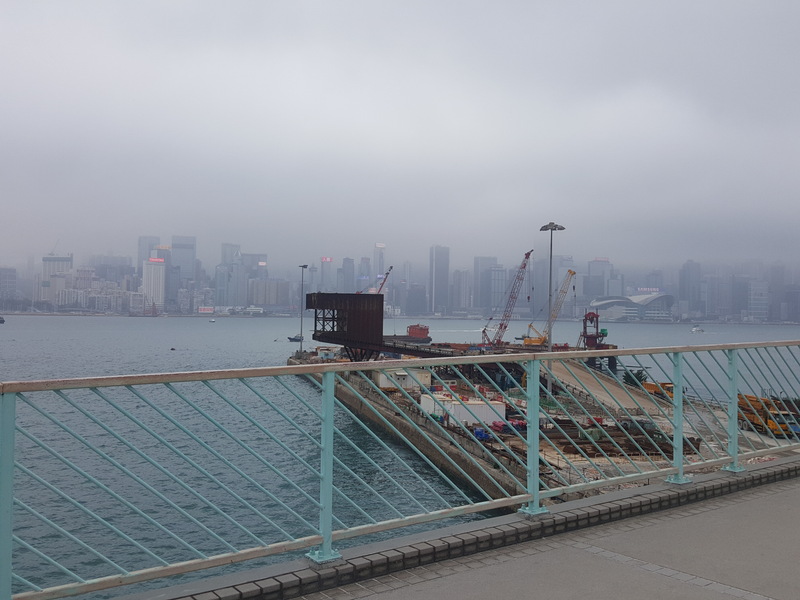 I find running at Kowloon District is safe and convenient. Happy running & traveling! You would think a biker you see on a trail is a male, but don’t be surprised to see a pretty face beneath the helmet. 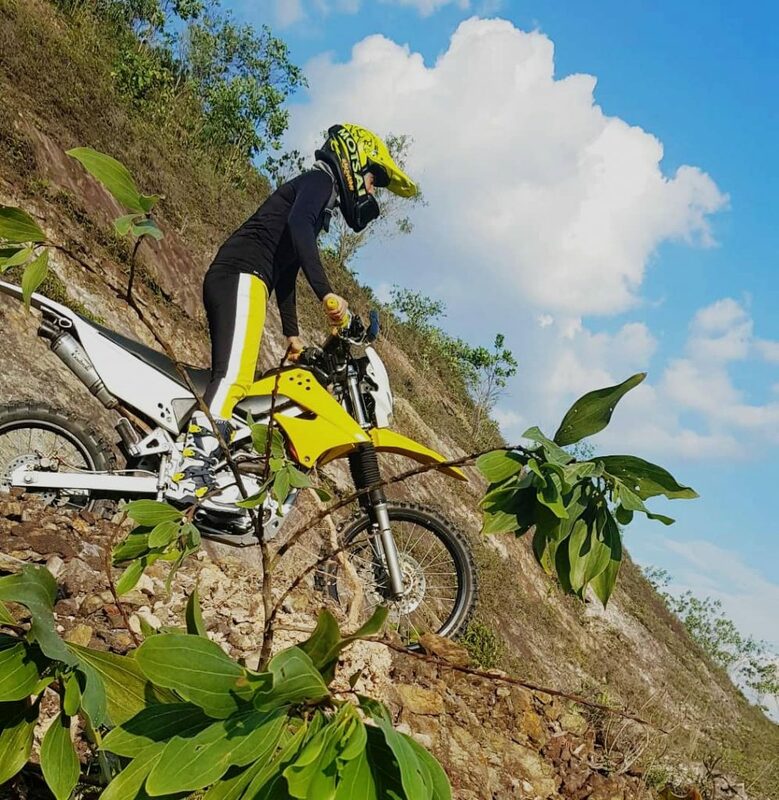 Girls ride dirt bikes too and petite hijabi Nazura Ramli is one of them. Nazura suits up in Nashata yellow Salasa Pants and takes her yellow bike for a spin behind her backyard. She is a bike lover and loves to ride since a kid. An owner of a vespa and now, a dirt bike, she and her husband spend their free time during weekends riding dirt bikes with friends. She enjoys dirt biking as it burns a lot of calories, fun, exploratory and challenging. Here are some useful information if you are exploring this extreme sports. Learn how to ride from a professional. 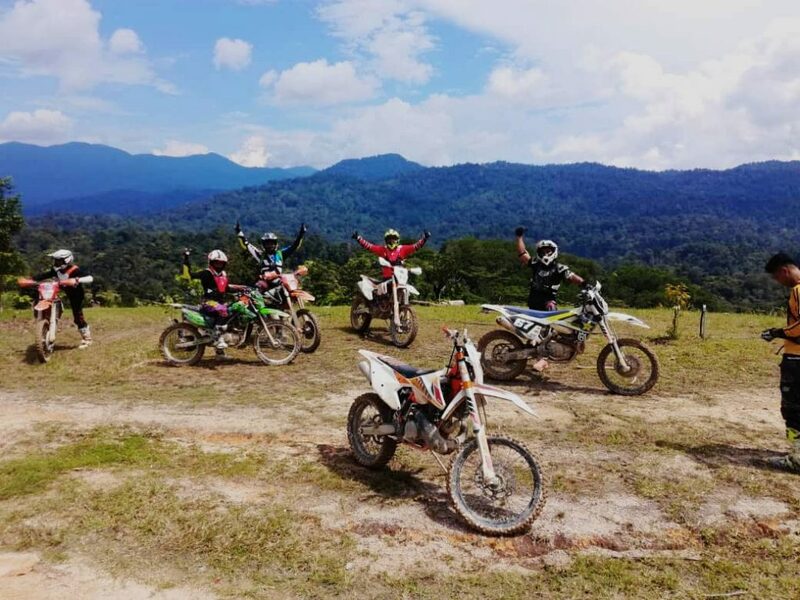 In Klang Valley, you can explore motorcross providers like HoleShotMotorWear in Shah Alam, Most Fun Gym in Sungai Penchala or MotorManiac in Rawang. You can take classes without gears and motorbike – just rent. You will learn balancing, how to control the bike and turning. Once you know how to ride, you need to train. 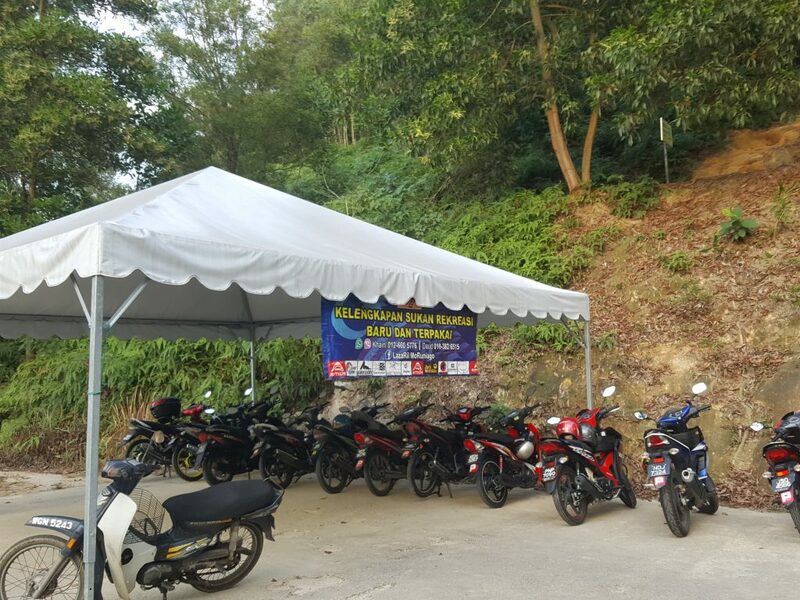 If you do not have a bike, you can rent the gears and bike for RM250 only. 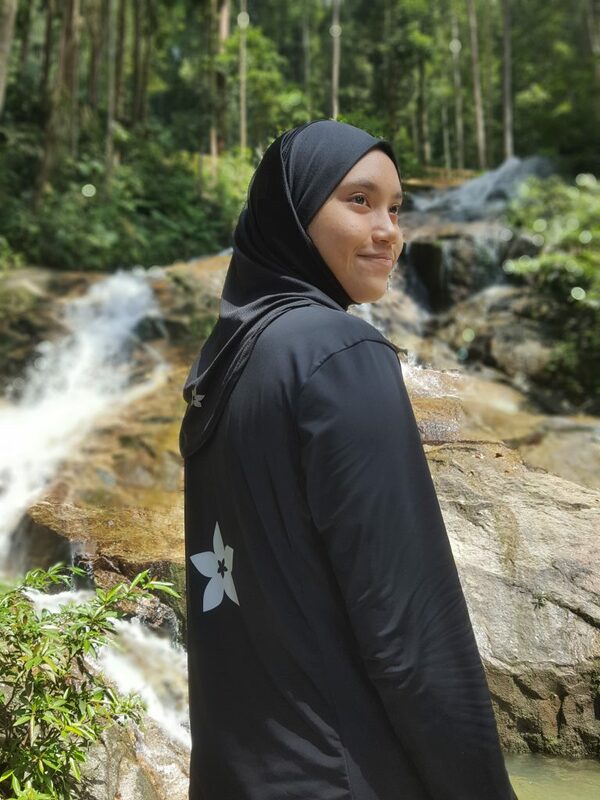 She recommends to consider a provider in Kemensah, Ampang where you can rent and practice for 3 hours with a guide. As a bike lover, purchasing a bike is a better option. With a budget of about RM7,000, she has all the gears and a used bike suitable for beginners. Bike – Typically, a beginner lady rides a smaller cc bike. 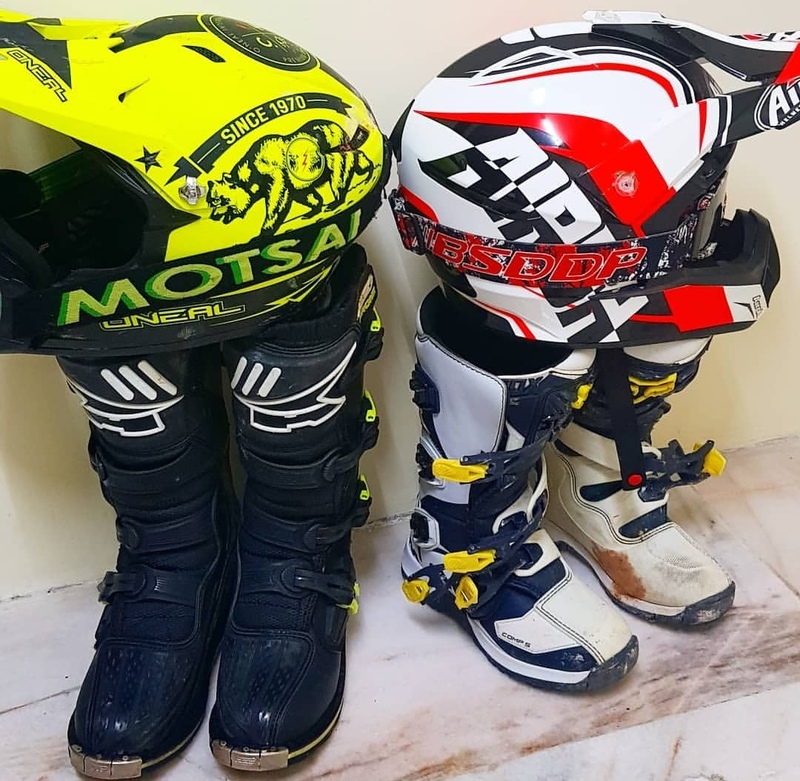 She chose a used 150cc Kawasaki bike as her first dirt bike. 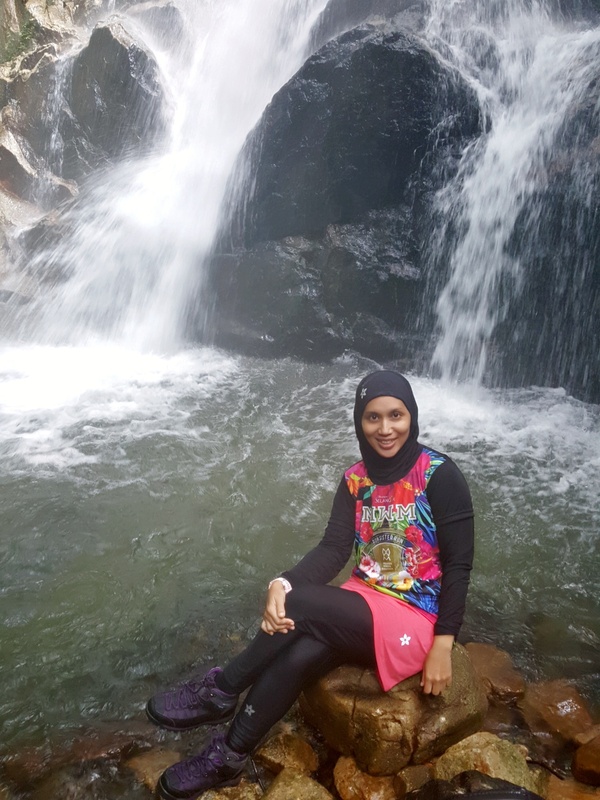 You can wear moisture wicking long sleeves shirt like the Ultra Top I or II, motocross pants or hiking pants and super lightweight headgear / hijab like the Raazglove. Since she has the gears and a bike, she practices for 2 hours at open dirt area that is close to where she lives. 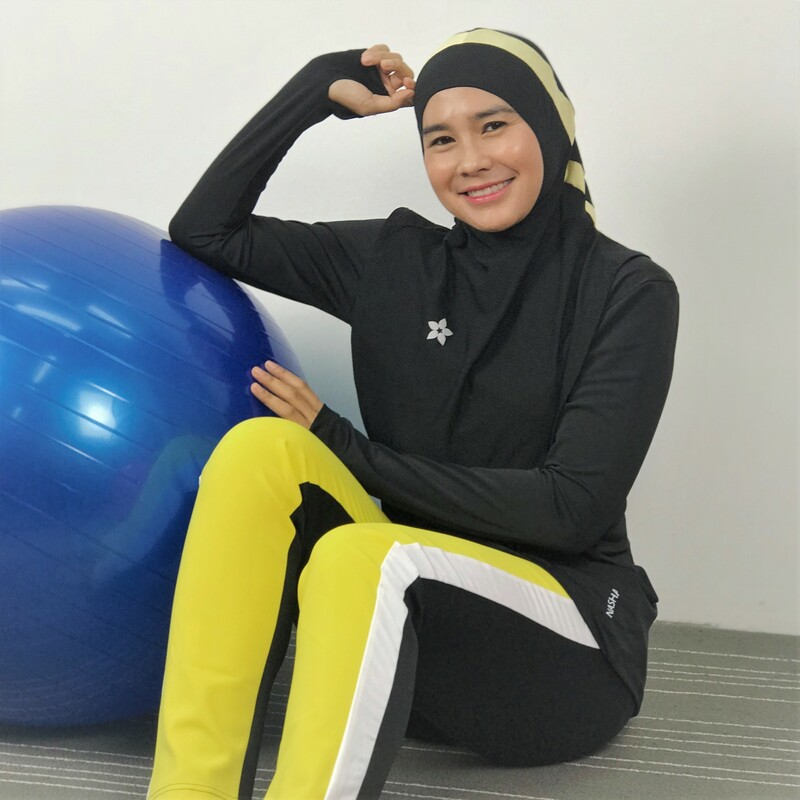 She trains with her husband and friends, so they typically ride in a group of five in Cyberjaya and Bukit Unggul Dengkil track. Falling off the bike is part of the training, and as long as you are geared well, you should be ok, she says. Other than improving balancing and enjoying the trail, she hopes to do wheelie soon. 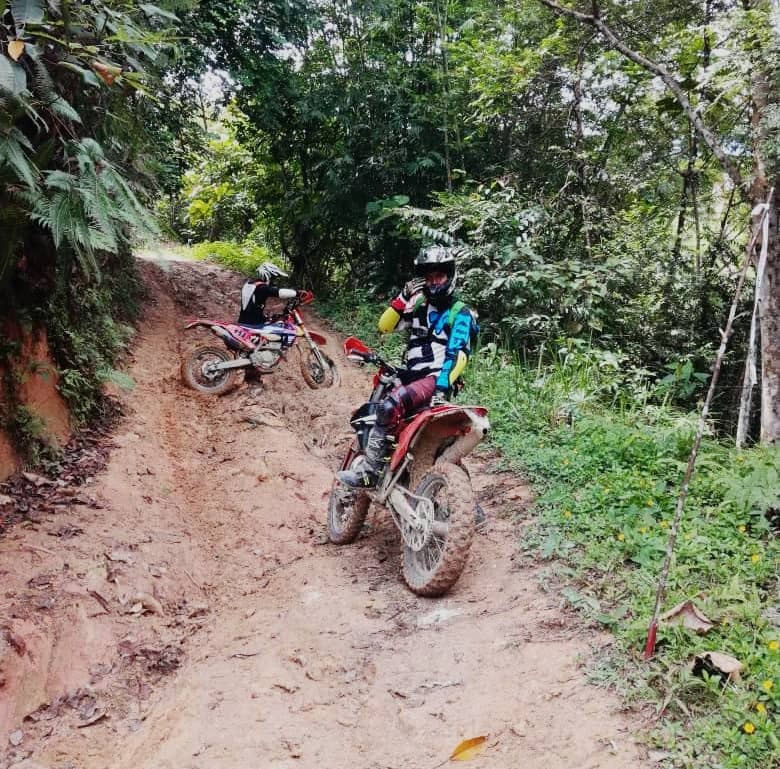 Other than the fun and adventure it has to offer, dirt biking also serves as a passage to motorrace and enduro race. 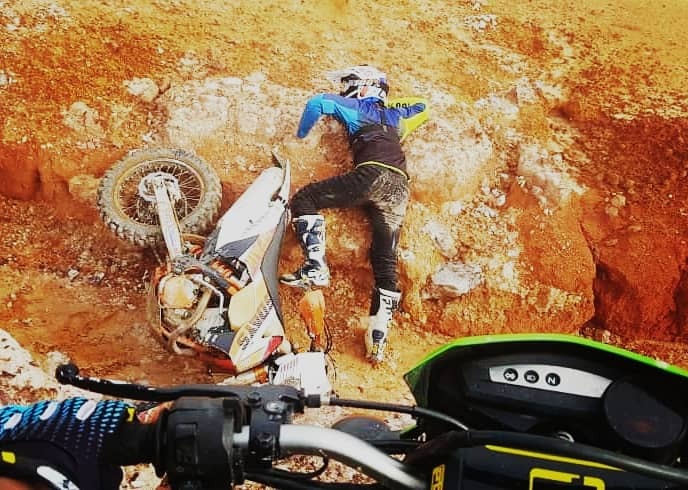 Dirt biking is cheaper and safer compared to superbike. Furthermore, you can also ride these bikes on the road. She checks the bike every two weeks and typically to change the motor oil. She finds dirt biking is fun in all weather. She has ridden on different tracks, in the rain, windy and hot weather and even when it gets muddy and dirty, it is super fun and super tiring. 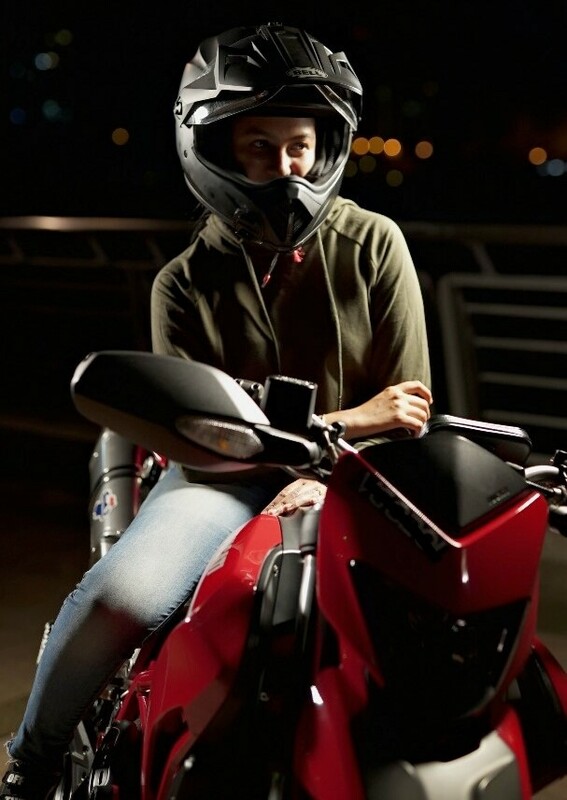 She is one Pretty Hijabi Rider. 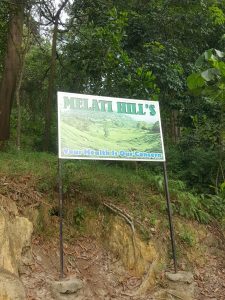 If you are looking for a hill to hike close to Putrajaya, Cyberjaya, Bangi, Kajang or Sepang area, you can consider Melati Hill in Nilai. It is approximately 30 minutes drive from these areas. I spend my Saturday evening there with Fazu and hike for about 3 km. 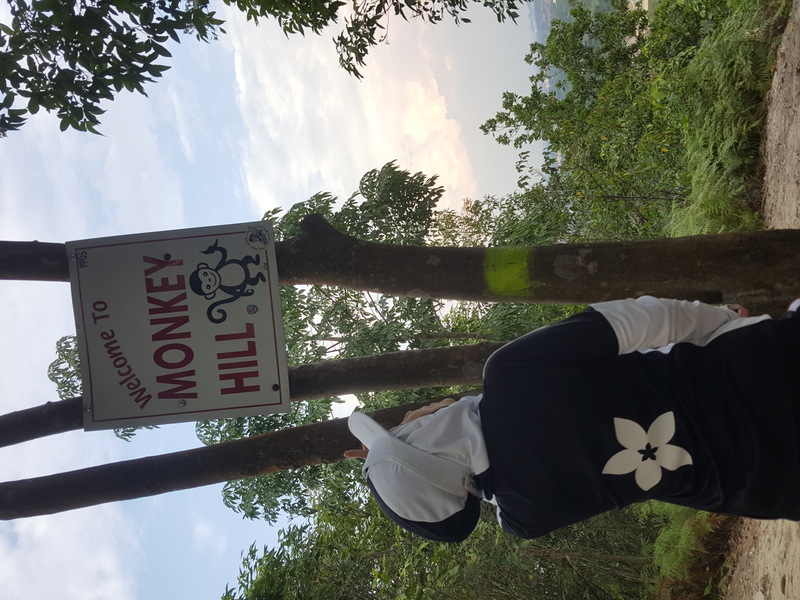 At Melati Hill, there are four peaks named Centipede Hill, Monkey Hill, Mosquito Hill and Mosquito Hill. 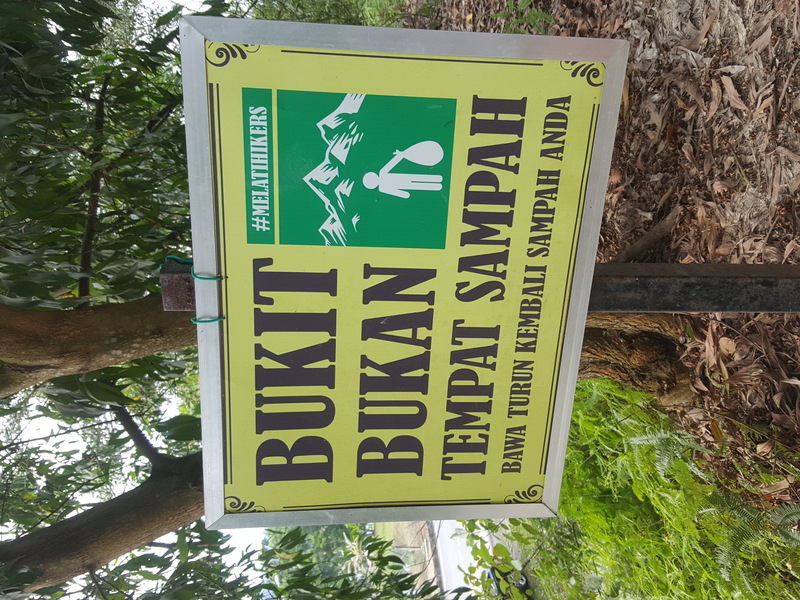 Melati Hill is located next to a residential area (google map) , and I was made to understand the trail is maintained by the community. You can park along the road and walk to the entrance and start your hike. 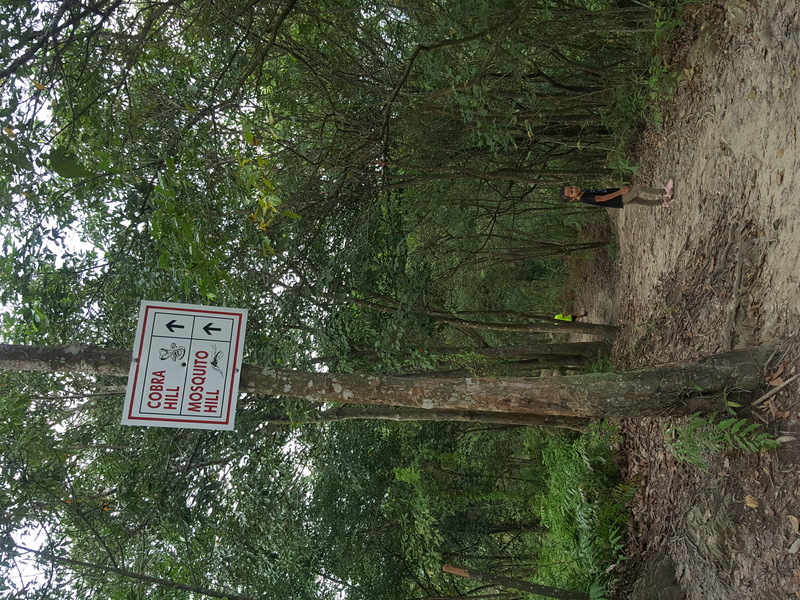 The trail is mild – you can easily hike up the trail until you reach Centipede Hill. It takes 5-10 minutes to get there. 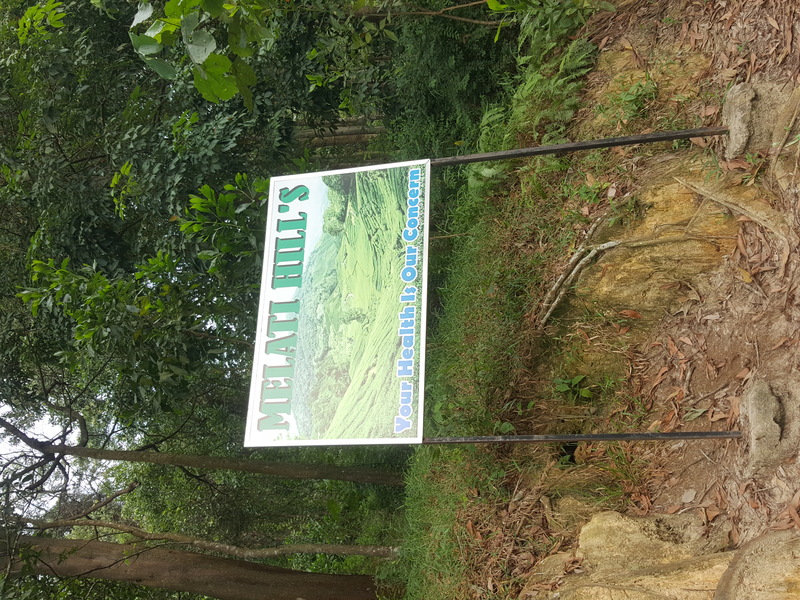 Once you you reach Centipede Hill, you will see a signboard with directions to subsequent hills. 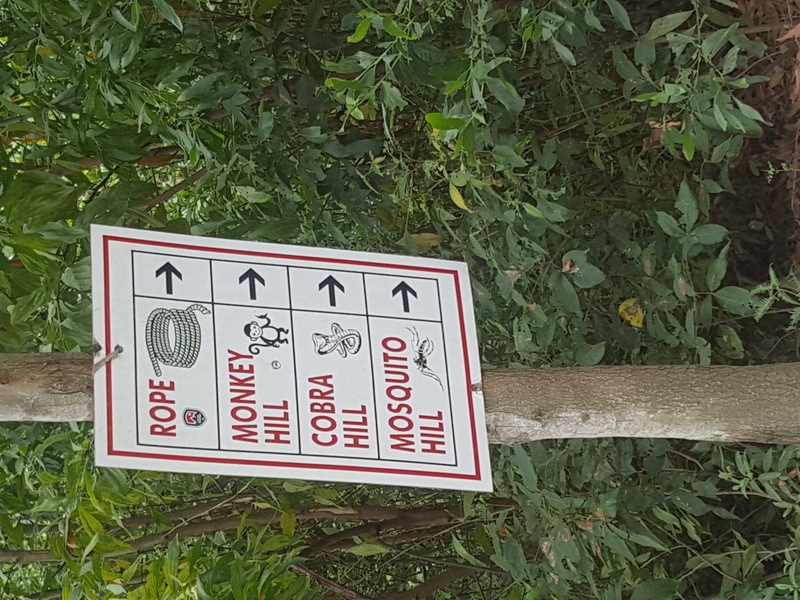 Just follow the direction to get to Monkey Hill. 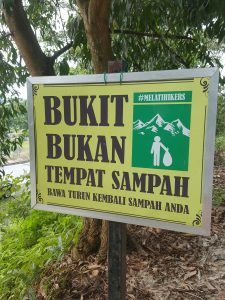 You can stop for a few minutes to enjoy the view of Nilai before continuing your hike. There are many hikers from various ages, from a 4 year old child to 60+ year old lady. Some regular and a few, like me – new to the trail. 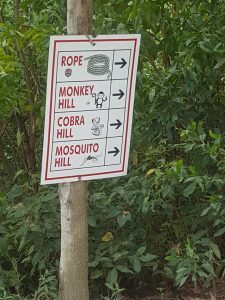 The hike from Centipede to Monkey Hill is longer and you’d go down and up hill. The canopy of trees gives good shade throughout the hike. 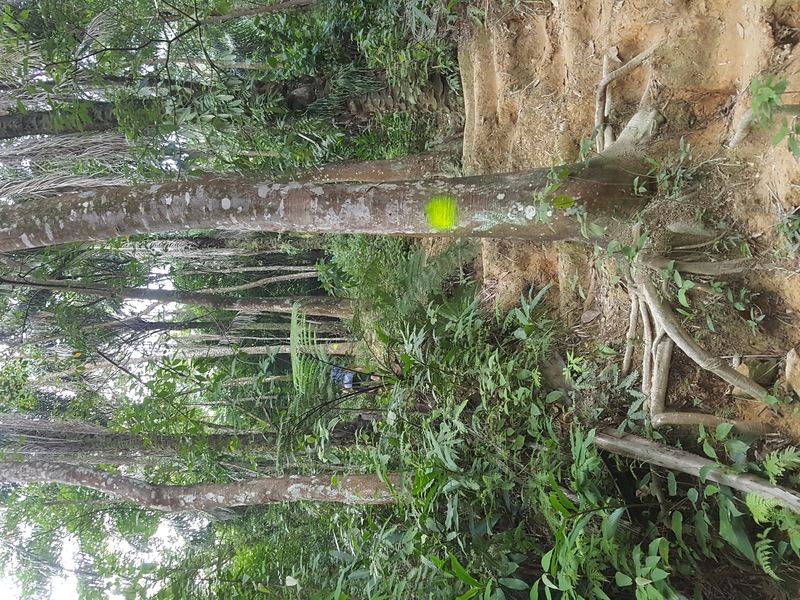 You’d go through a trail surrounded by rubber and palm oil trees and pass a small pond. 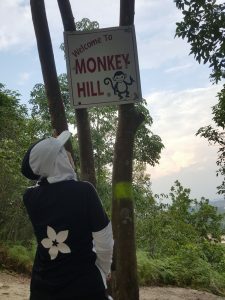 Before you reach Monkey Hill, you’d need to climb pretty steep steps. The landing area at Monkey Hill is pretty spacious. Don’t be deceived by the name. 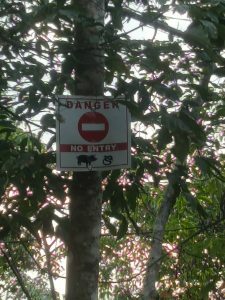 There is no sight of monkeys when I was there. 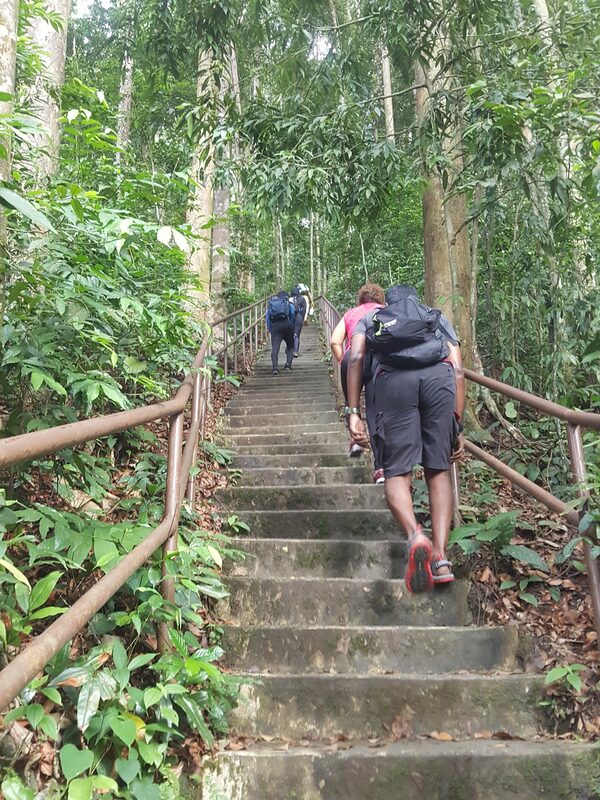 You could take a rest, enjoy the view or continue your hike to either Cobra or Mosquito Hill. 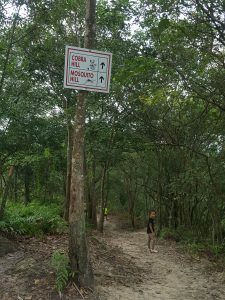 If you want to cut your hike short, follow directions to Mosquito Hill. Continue your hike and if you want to find your way out, just follow the “OUT” signs. Watch your steps as you go down the hill. 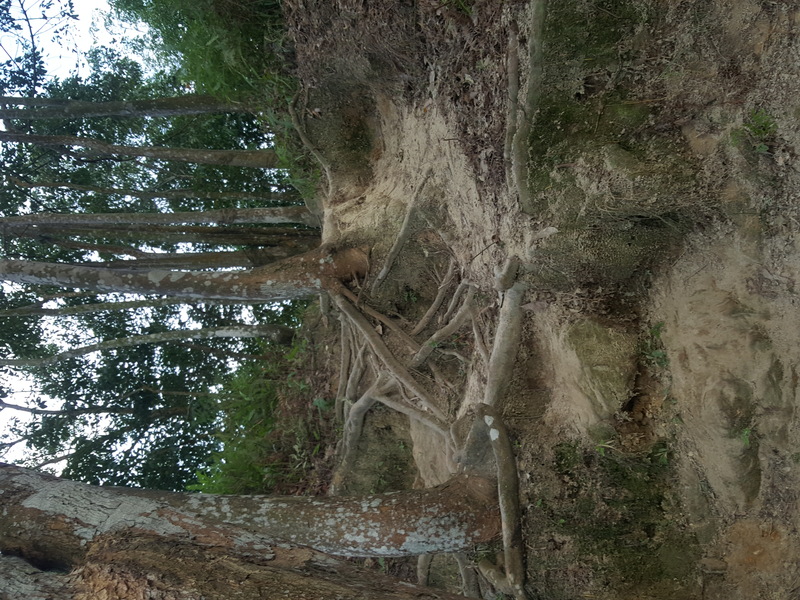 The trail gets easier as you reach the exit. Your hike ends once you reach the roadside. You could see areas where the community put up tents for shade and to sell recreational items. Apparently, items are put on sale there on Sunday morning. 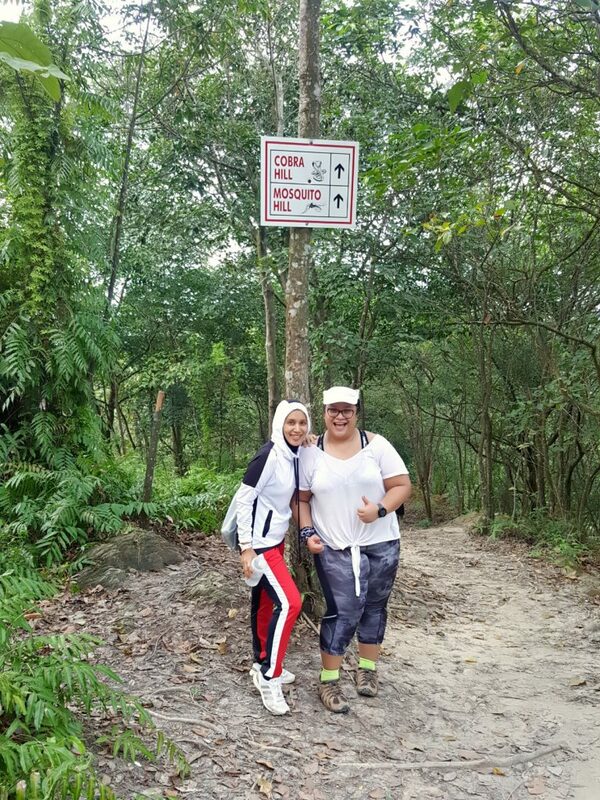 I would definitely continue the hike to Cobra Hill the next time I go to Melati Hill. It is also a good place to do hill training. It takes us 1.5 hours to go through the three hills and we stop many times to enjoy the 3 km hike. It is family friendly, well-maintained by a friendly community. Don’t forget to bring water and put on visible sportswear and a good pair of hiking shoes. 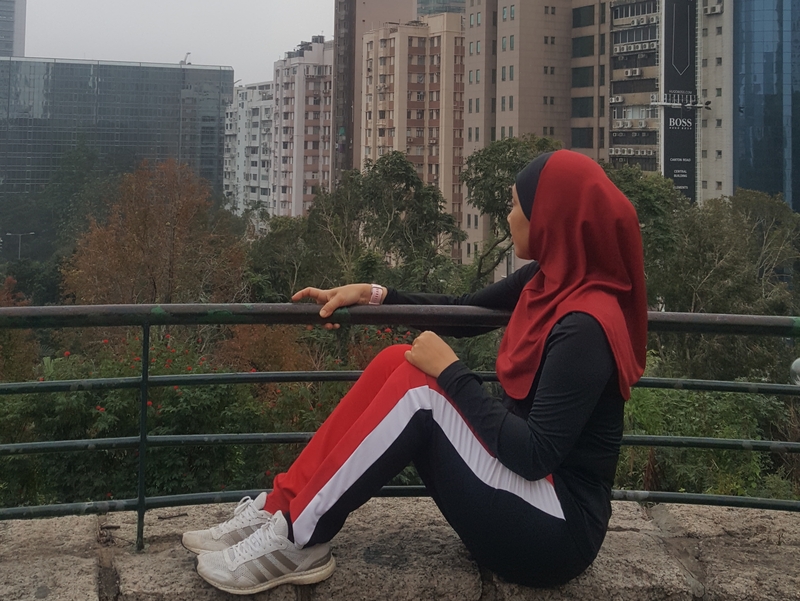 I wear Nashata white hoodie gen and the red riada salasa pants. 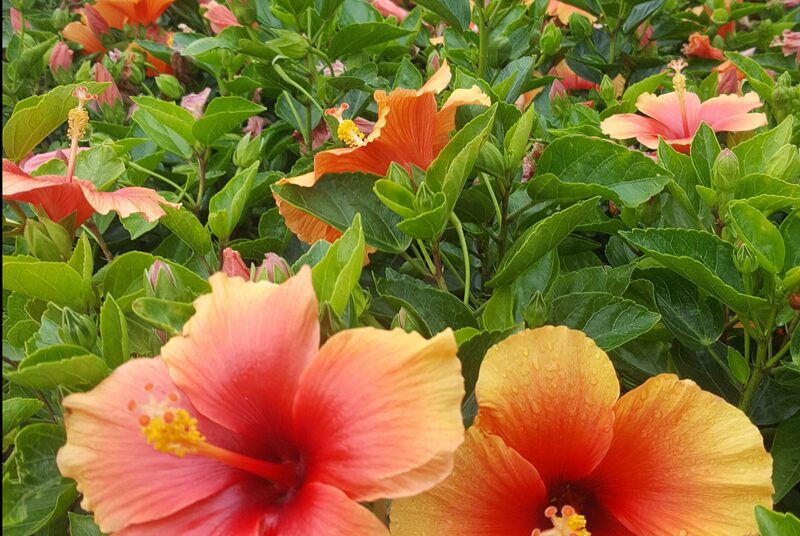 If your New Year Resolution is to travel more and explore the great outdoors, then Nashata’s blog is the right page to follow. For 2019, I am delighted to share my experiences. Traveling and the great outdoors not only enriches our lives – it is also encouraged by our religion to explore: “It is He who made the earth tame for you – so walk among its slopes and eat of His provision – and to Him is the resurrection.” – Surah Al-Mulk, 15. 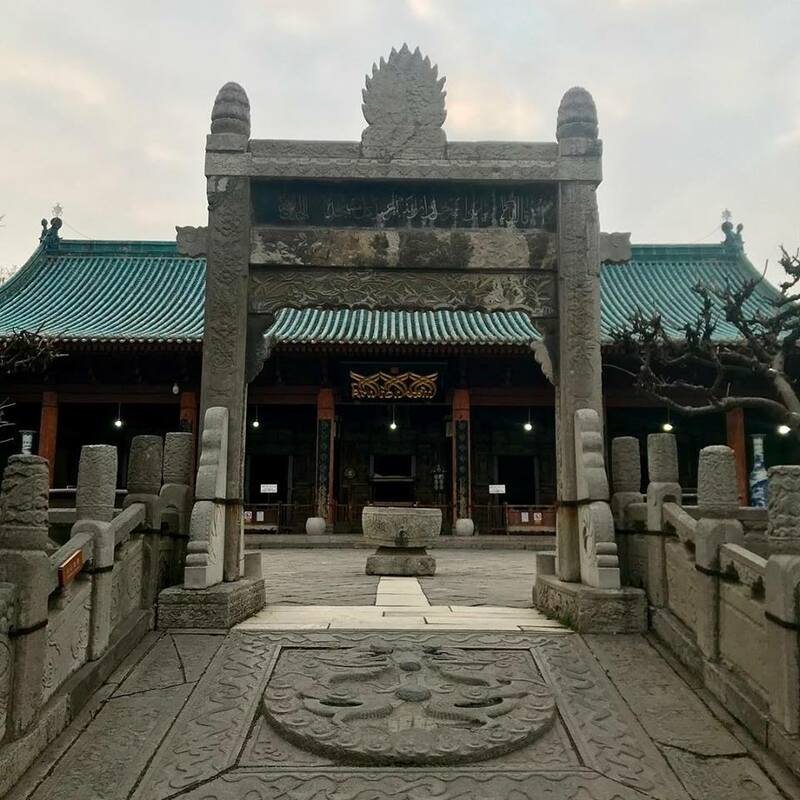 As one of the ancient capitals of China, Xi’an has witnessed various dynasties, with emperors trying to outdo each other with their palaces, defense structures, and tombs. 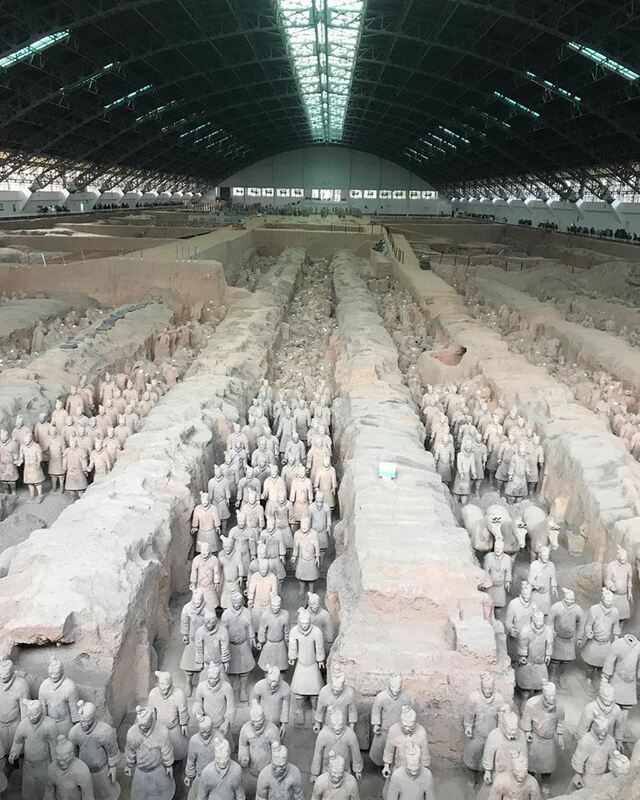 A historical place that you must not miss is the Terracotta Army. Xi’an is also said to be the starting point of the Silk Road. 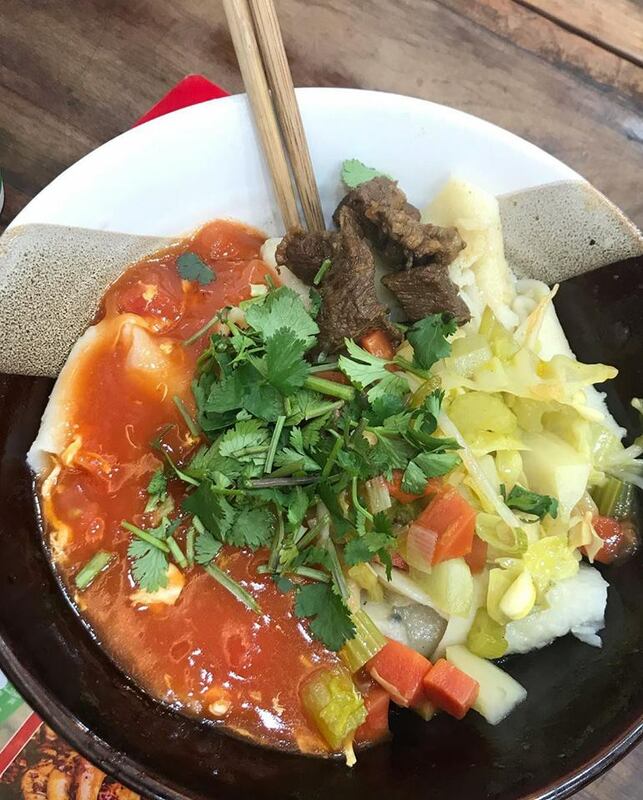 So immerse yourself in the unique local culture that is a product of thousands of years of intermingling with India, Mongolia, Persian, Arabs, and Greeks. A cultural place that you must not miss is the Muslim Quarter and the Great Mosque of Xi’an. Find a reputable hotel with a strategic location, preferably near landmarks in the city centre like the Bell Tower, Drum Tower, or Muslim Quarter. 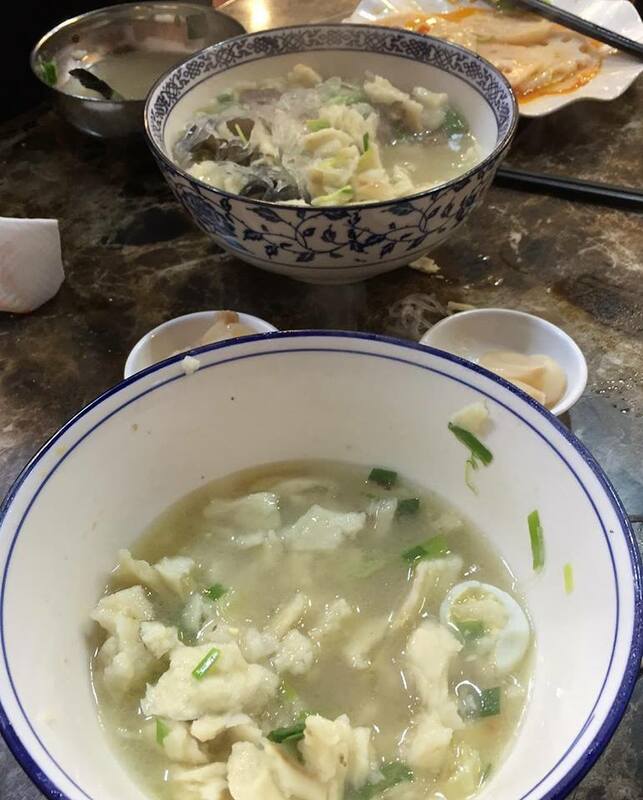 As China is moving towards a cashless society, credit cards and debit cards are phasing out. Ironically, travelers will need extra cash because we could not use the cashless system as we do not have a local bank account. So make sure you budget accordingly. Most of the products is not that unique and mass produced. In fact, I saw the same handicraft that was available in Bangkok, Phuket, Indonesia, etc, It looks like everything produced in this world really are “Made in China”! Unfortunately, I don’t speak and read a word of Mandarin. And English is not widely spoken in Xi’an. There will be moments of frustration when people don’t understand. To overcome the language barrier, download a Mandarin-English translation app. We would like to wish our fit sisters a colorful and fit year for 2019. Colors do affect our mood, so why not make it a winning mood when we work out. After all, it was reported that athletes who wore red at the 2004 Olympics won more events than those who wore blue. 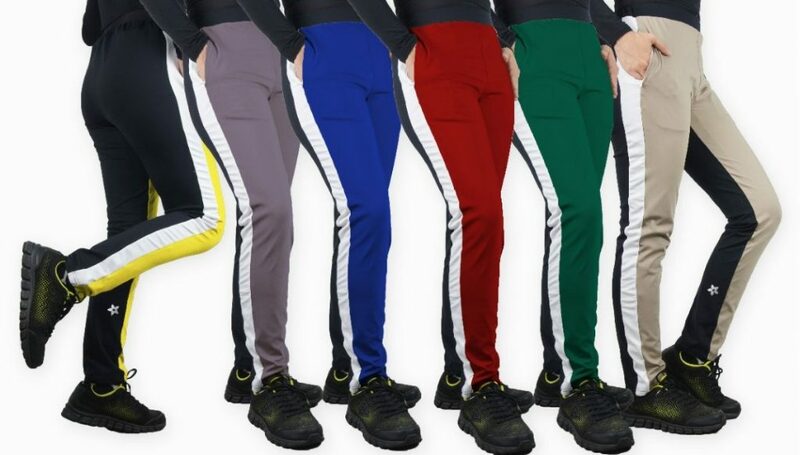 We released a couple of colorful pants – some bright and some in soft colors to bring more excitement into workout. Naturally, everyone wants to wear a black sports pants, almost. But why not add a little bit of colors when you workout. Here are some ideas we put together for you featuring the Riada Salasa Pants & Riada Bootleg Pants. Design that combines fashion, fun and function. 1. 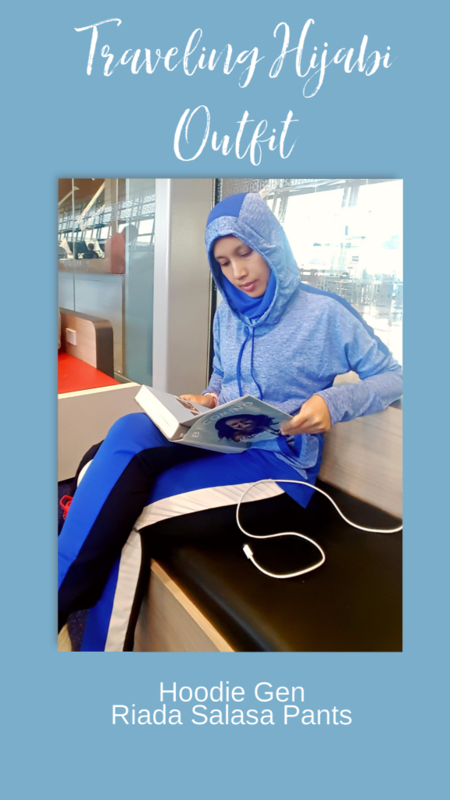 Style it with two colored tops like the Hoodie Gen.
Now you can wear soft colors and not worry about sweat marks on your sports pants. The back part of the pants is black. Design that combines fashion, function and performance. 2. 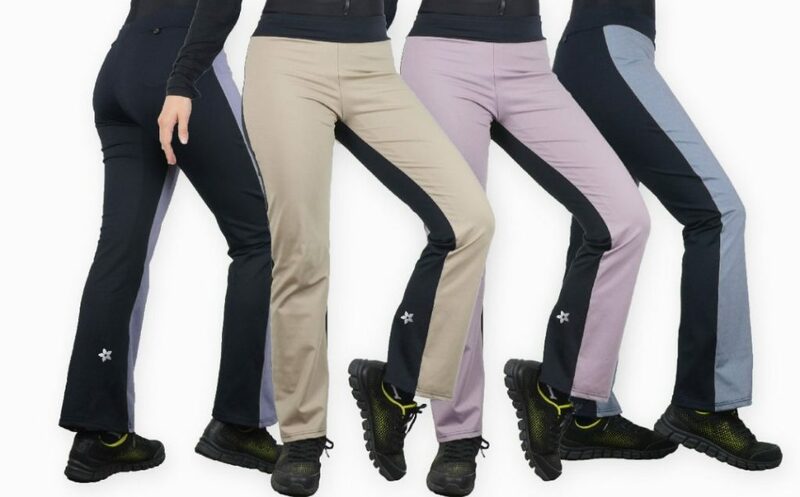 Soft-color pants to go with stronger-shade-color top. This combination gives a soft yet firm look. Have fun with colors. If you are not certain what to wear with colorful pants – just put on a black sports top. Nothing can go wrong with black, but excitement is what you get with colors. 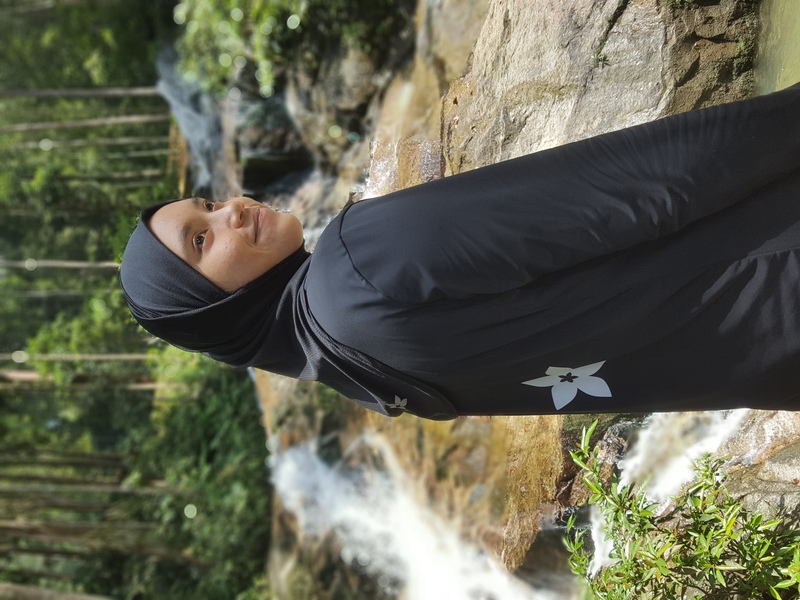 For 2019, do take advantage of 5% OFF for purchases made at nashata.com when you use vouchercode AnaNashata throughout the year. 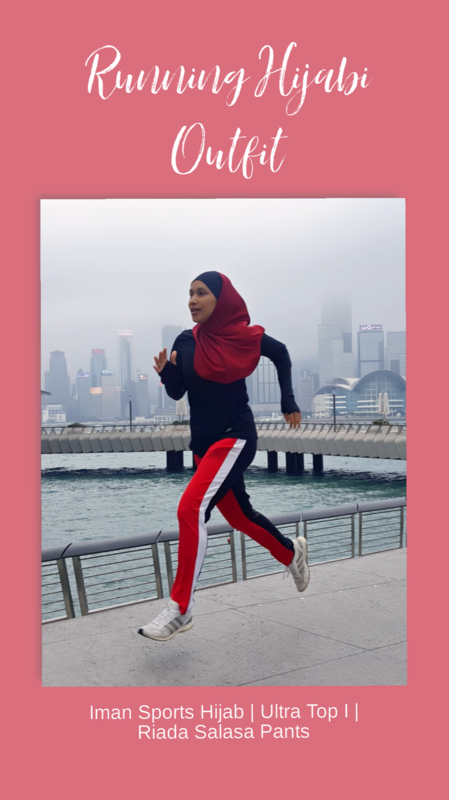 InsyaAllah, together, let’s have a colorful and fit 2019! Nashita means a lady being active in Arabic. Nashata collects woman’s activewear and sportswear as one of our efforts to reduce ecological footprint. Nearly 100 percent of clothing are recyclable and we hope to be a part of the efforts to reduce textile to landfill by collecting woman’s activewear and sportswear for secondhand clothing or recycling. Most sportswear are made of polyester-based fabric, and they can be shredded and then granulated into polyester chips. These chips are then melted and used to create new polyester fabrics. Join our efforts to reduce ecological footprint. Simply collect your activewear and sportswear and send them to us. Here are some info about the sportswear recycling program. What type of used products does Nashata collect? Any clean and dry lady sportswear, except shoes, socks and undergarments. What happens to the used sportswear collected by Nashata? Nashata will send suitable products to partners in under-developed and developing countries as second-hand items. Send other items to partners specialized in fabric or textile recycling. Fabric for sportswear can be completely recyclable at the end of its life. Where is the program active? Ship or drop-off to Mudzalifah Anuar. Contact her for arrangement. Contact number : +65 8183 5954. We take-back your sportswear and send them to suitable under-developed or developing countries as second-hand items. This would make sportswear more affordable and accessible to these nations. Items that are not suitable for these markets will be sent to our fabric recycling partners.Through these efforts, we can reduce and avoid pollution and energy-intensive production of new clothing. Since inception, Nashata avoid use of plastic and paper as efforts to reduce waste. We email customers about care of products and reuse plastic covers for shipment. We provide packaging of product that can be used for multiple purposes. Our customers use Nashata packaging to store items for travel, camping and races. Our efforts to reduce ecological footprint continues. Why should you send unwanted sportswear to Nashata? We make sure these items will be used or recycled. We reward you by giving 15% voucher for purchases at Nashata.com, valid for 1 year. Please allow 3-5 working days for the team to check items sent and validate contact info provided. How can you be a part of Sportswear Recycling Program ? Ship or drop-off sportswear in a bag, labelled with your name, phone number and email address) to Nashata contacts. We need your contact info to send Nashata digital voucher to you. Be our partner. Provide drop-off point or help collect unwanted sportswear at your area. Just drop us a line at contactus@nashata.com if interested or if you have questions. 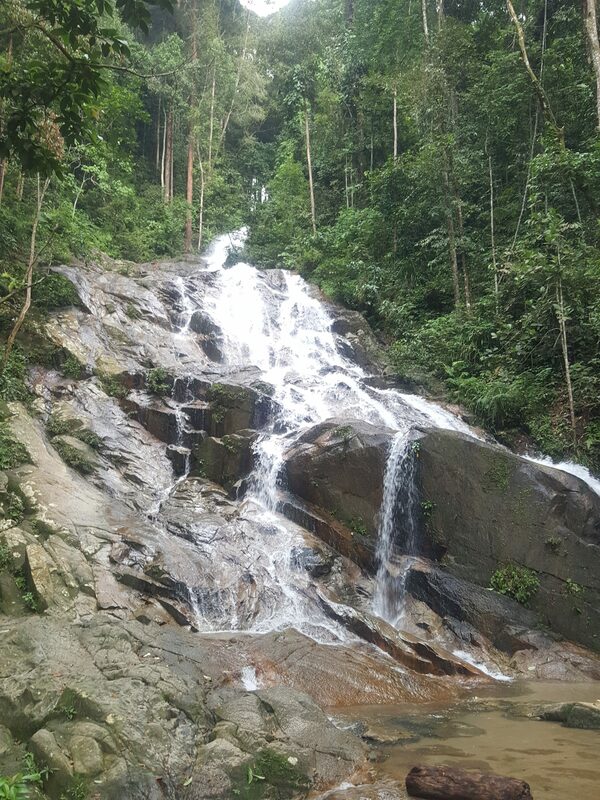 Kaching Waterfall is within 1 hour drive from Klang Valley area. If you have half day to spare, you can spend 3-4 hours hiking and enjoy the waterfalls there. 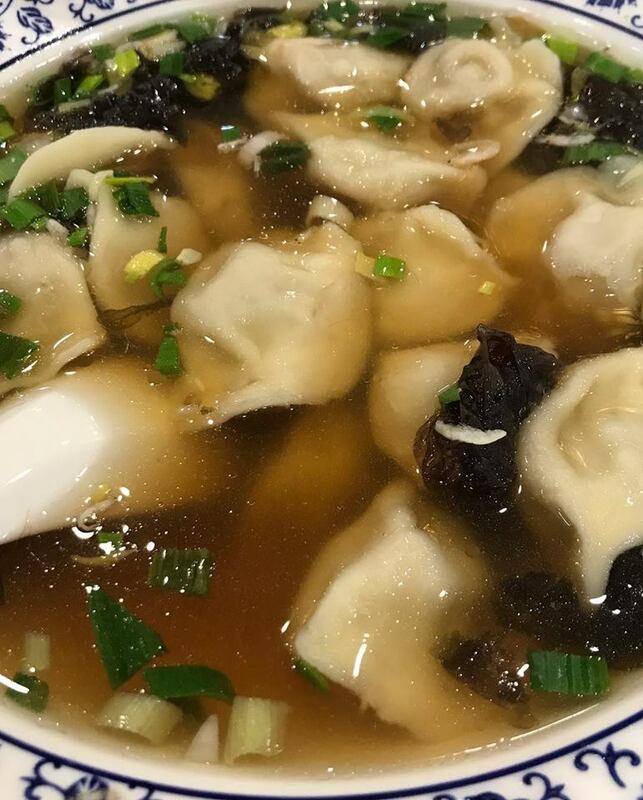 It can improve your mood and simply refreshing. 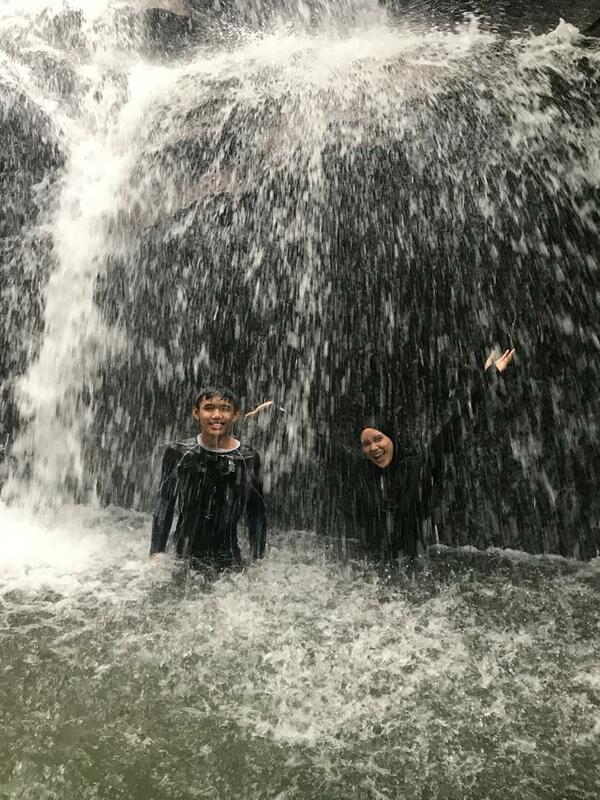 Getting to Kaching Waterfall was easy. 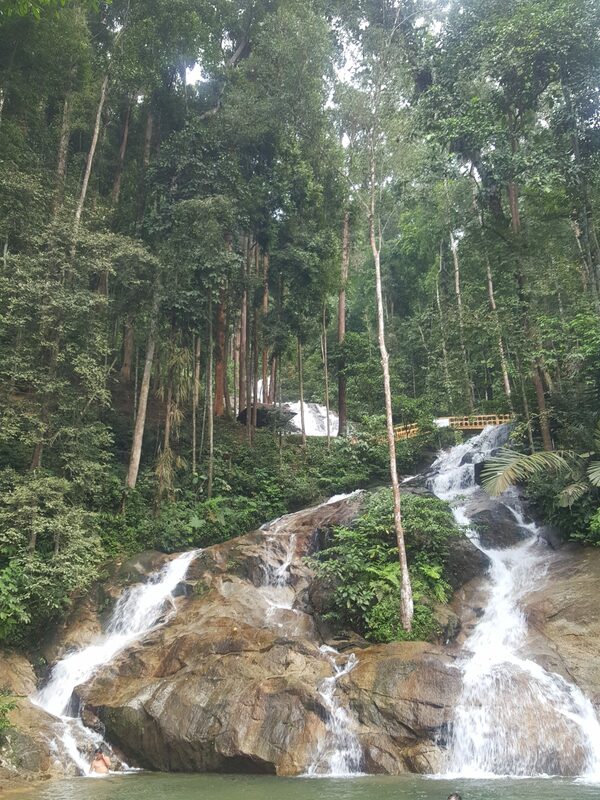 Just set your Google Map or Waze to Kanching Rainforest Waterfall & Recreational Forest. The area is managed by Tourism Selangor and you need to pay RM2/person when you park your car there. I arrive the park around 10am, and there were not many cars as to compared to when we left at 12:30pm. There was a stall by the entrance where you could buy drinks and packed food. 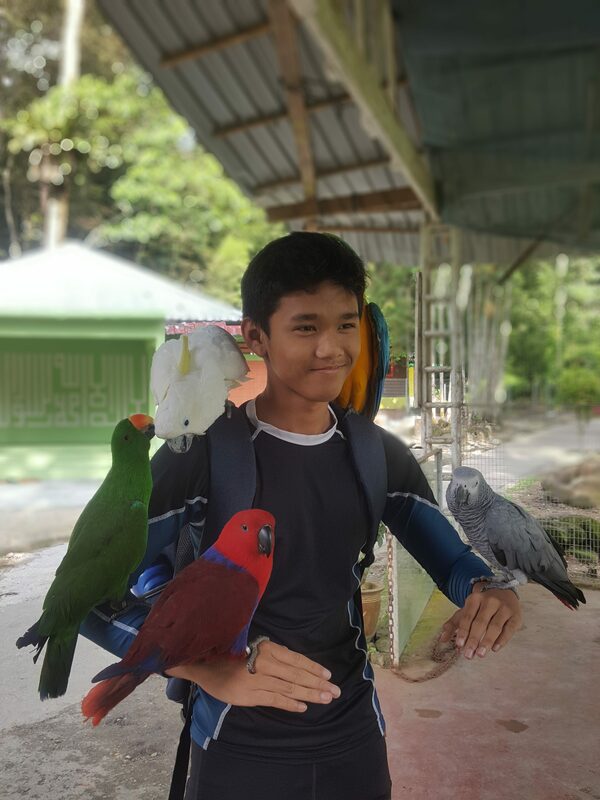 As you walk in from the car park, you would pass an area where you can take pictures with trained colorful birds for RM20 per person. 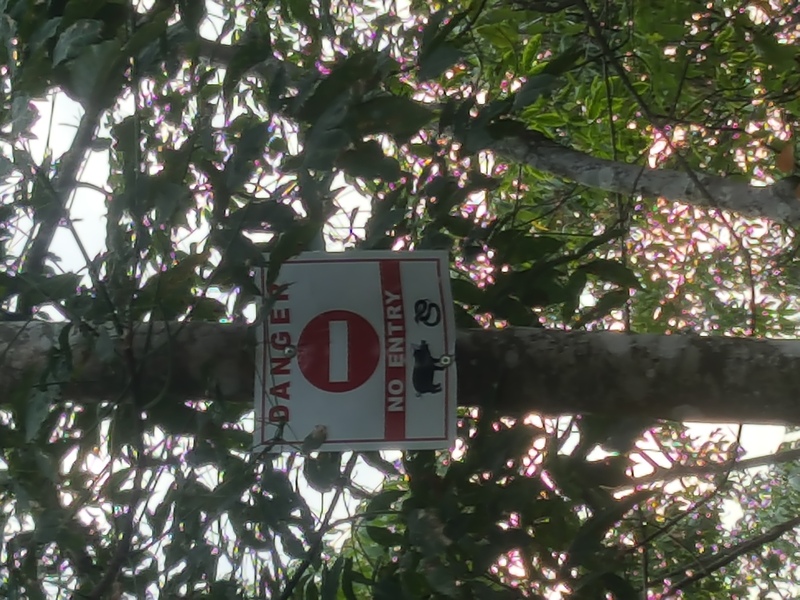 You’d start seeing monkeys as you walk further. So please make sure food and personal belongings are secured with you. There were 7 stages of Kanching falls. My party and I hiked to level 6 only.The hike was pretty easy if you are used to going up the stairs, but steep enough to make you sweat a lot. The hike to 6th level took us 45 minutes, and that included stopping and taking pictures at other levels. Try hike to level 7 as I didn’t think it is all that difficult. If you prefer a big pool to dip in and a covered huts to settle at, level 4 could be a good spot to picnic. We spent time at level 6 for half and hour, taking a dip and letting the falls gushing our back. We had a bit of snack and hiked back. There were more people hiking up the trail after 12 noon, some with small children, bringing floats and picnic baskets in hands. Changing area and toilets were at level 1 area. The water at the park was clean and refreshing and the park well maintained. Wear proper hijab and clothing for safety reasons. A hijabi with long hijab suffocated in the water because her hijab covered her face while in water and she was unable to remove it. Too loose and long clothing may be hazardous if stuck in water. Take care of your food and do not litter. Food and leftovers that are left behind at waterfall area can attract scavengers like rats, lizards and crows. Do not leave anything behind. Plan your weekend for a waterfall hike and bring back a boost of positive vibes. 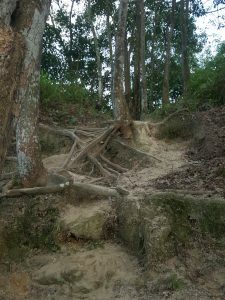 Commonwealth Forest Park is 6 km away from Kanching Waterfalls. You can plan to visit both if you like. Fabulous news for runners! We can look forward to another four years of wonderful racing experience at the KL Marathon. 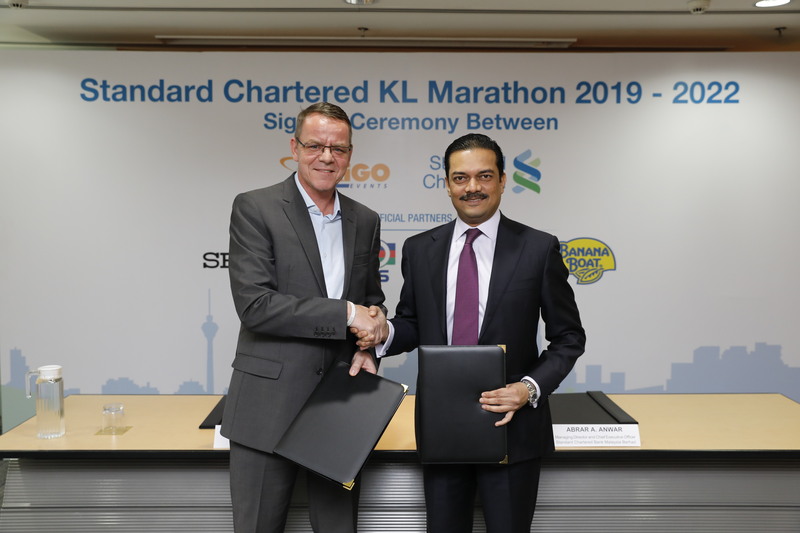 Dirigo Events and Standard Chartered Malaysia announced a four-year extension to their title sponsorship agreement, taking the biggest run in Malaysia with the Standard Chartered KL Marathon through year 2022. The 2019 edition of the highly anticipated event will take place on 28 and 29 September and is expected to draw over 38,000 participants. Standard Chartered has been the title sponsor of the event since 2009 and celebrated the 10th Anniversary of the bank’s involvement at this year’s event in April. The Standard Chartered KL Marathon’s (SCKLM) 10th Anniversary saw its biggest participation yet with 38,000 participants competing in 10km, Half and Full Marathon distances, with a 5km Fun Run and 1km and 3km Kids categories. 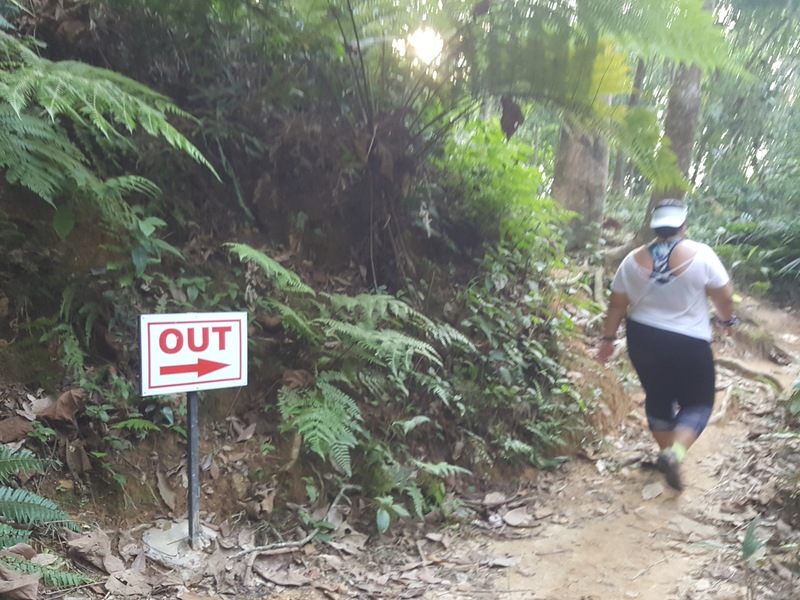 The 10th Anniversary event also saw SCKLM being held over two days for the first time to cater to the growing number of runners, and this will continue in the next edition of the race. “We are extremely pleased to be extending our association with this wonderful sporting event and delighted that we will be able to continue inspiring Malaysians to lead healthy, productive lives,” said Abrar A. Anwar, Managing Director and CEO of Standard Chartered Malaysia at a signing ceremony held today. “Over the last 10 years, SCKLM has grown to become the premier running event in Malaysia, bringing together participants from every state within the country and from over 70 countries. This is largely due to Dirigo’s excellent organisation of the event and we are happy to resume this successful partnership to take this event to even greater heights,” added Abrar. The 2019 edition of SCKLM will also see the inclusion of new, as well as returning sponsors. SCKLM welcomes Under Armour and Banana Boat as first-time sponsors of the event. Seiko resumes its long-standing sponsorship while 100 Plus returns as beverage sponsor for the next 4 years. “We are really happy to have secured our title and major sponsors for the 2019 edition of SCKLM well ahead of the event, which gives us ample time to plan and maximise the sponsorship agenda of our partners,” said Rainer Biemans, Project Director of SCKLM and Director of Dirigo Events. So mark your calendar and let’s not miss the run in 2019. Need convincing? Checkout our past experience running the Standard Charted KL Marathon. SCKLM’s 10TH ANNIVERSARY SET TO SIZZLE! 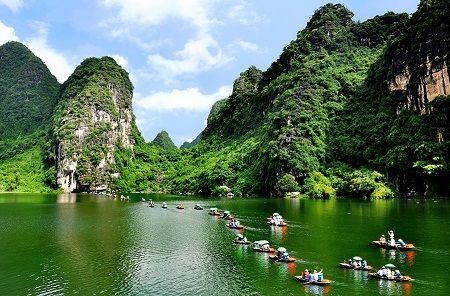 Add adventure to your active lifestyle and embark into new and exciting adventures at UNESCO World Heritage sites. Since 1972, UNESCO has designated 209 natural world heritage sites and here are the top 10 that are accessible for tourists in South East Asia, spanning from Vietnam, Thailand, Malaysia, Indonesia, Philippines and Palau. Pick one that suits your time, budget and interests and you get to kill two birds with one stone. 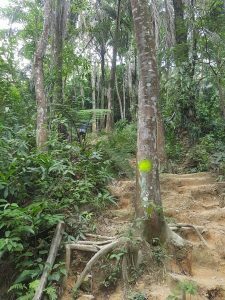 Activities : Trekking, caving, Rafflesia, visit Gunung Leuser National Park, wildlife watching – orang utan, bats, waterfall trip, hotsprings. 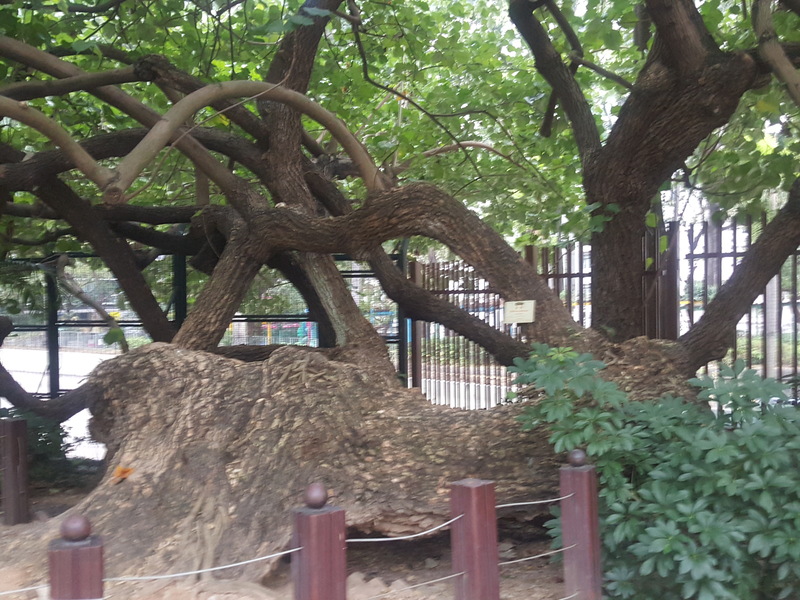 The park consists of 3 national parks with rich biodiversity. It is one of the 54 World Heritage sites that are in danger. Min budget : USD250/pax, excluding transport to and from Medan. 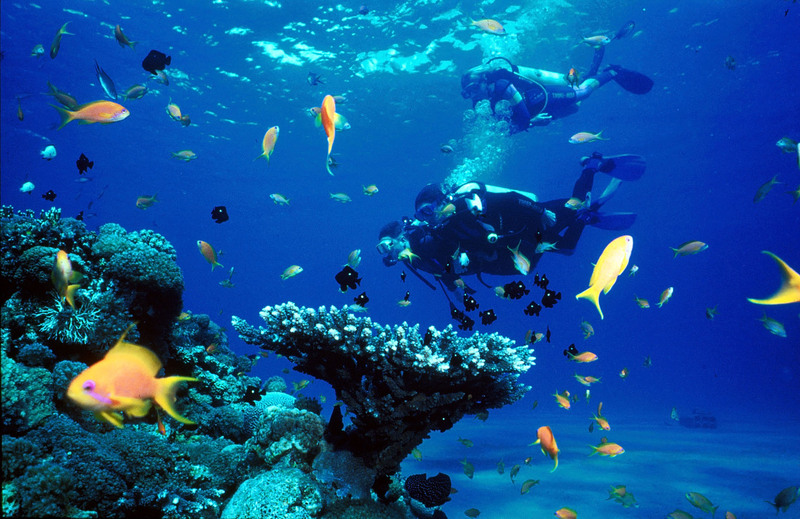 Min Budget : USD2,500/pax for diving and accommodation excluding transport to Palau.